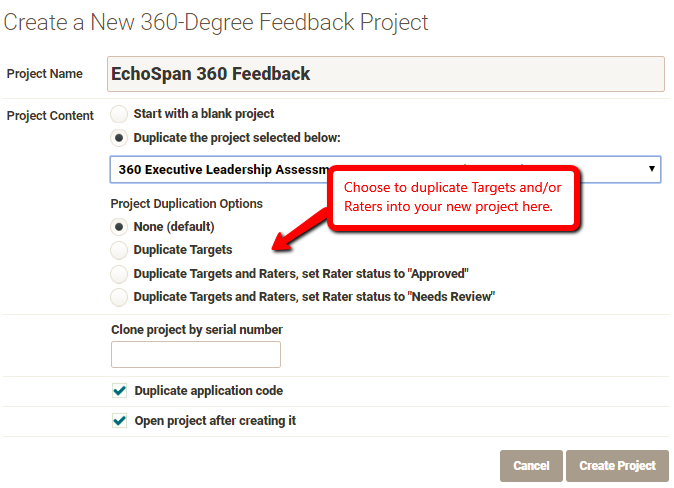 You can also clone Targets and Raters when duplicating a previous project in order to save time and run another review on the same group. The feature will only clone Raters from the source project that are in "Needs Review," "Approved," "In Progress" or a "Finished" status. When Raters are not selected to be cloned, the system will always clone a self-Rater if one exists. Email are not queued when users are cloned.